WikiLeaks: CIA Drew up Intel "Wishlist" for State Dept. The CIA was the agency behind the State Department's instructions to gather information on the United Nations secretary-general and members of his senior staff, the Guardian newspaper of London reported on its website Thursday afternoon. The revelation that the State Department requested U.S. diplomats to collect such information as credit card numbers, frequent flyer account numbers and a "compendia of contact information" on Secretary-General Ban Ki-moom was disclosed in a massive leak of secret memos this week from the organization WikiLeaks. What wasn't known until the Guardian article was which agency asked the State Department to do the gathering. State Department spokesman P.J. Crowley has hinted to reporters that the cables came from another agency even while at the same time saying Secretary of State Hillary Clinton was responsible for them. "By tradition, any document that leaves the Department of State has the secretary of state's name on it," Crowley said about the cables during a press briefing Tuesday. "She is responsible, but she was not the author of that particular document, and the contents of that came from outside the Department of State." According to the Guardian, the national manager of human intelligence, a post created during the Bush administration after 9/11, writes a wishlist once a year. The State Department then translates the list into diplomatic cables tailored for each American embassy, such as the U.S. mission at the U.N., the Guardian reported. 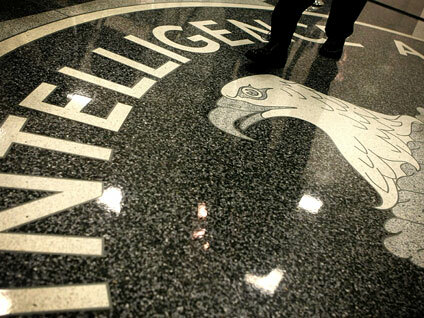 The government has emphasized that American diplomats have not been conducting espionage abroad. "It shouldn't surprise anyone that U.S. officials at the United Nations seek information on how other nations view topics of mutual concern," a senior U.S. intelligence official said told the Guardian. "If you look at the list of topics of interest in this routine cable, the priorities represent not only what Americans view as critical issues but our allies as well." The cables WikiLeaks released to a number of news outlets Thursday reveal that American diplomats in the capital of Paraguay had to acquire information about other countries' diplomats, the Guardian reported. That information included dates, times and telephone number of calls that diplomats from Bolivia, China, Cuba, Iran and Venezuela received and made in Paraguay, the Guardian reported. Who is Wikileaks Founder Julian Assange?